Turn ordinary sunlight into a shimmer of rainbow magic by hanging this multi-faceted crystal sphere in a sunny window. This sphere is strung on Rose Quartz gemstone chips and is ready to hang, making it a stylish hanging ornament. 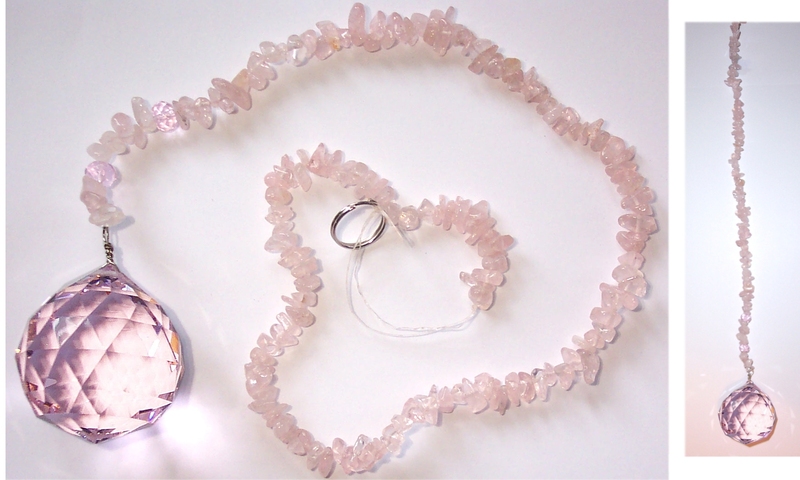 Hang a Pink Crystal in your window to energise your room and activate positive chi (positive energy) and to create beautiful rainbows as the sun shines through the crystal.